Vibha volunteers across the world don’t limit themselves to volunteering with just Vibha. They participate in charity work with numerous other charities. Recently, members of Vibha Boston volunteered with Cradles to Crayons (C2C). Cradles to Crayons is a non-profit much like Vibha that helps children in Boston and Philadelphia receive the “essential items they need to thrive.” Much like Vibha, they are focused on helping low-income children that face limitations such as lack of supplies. 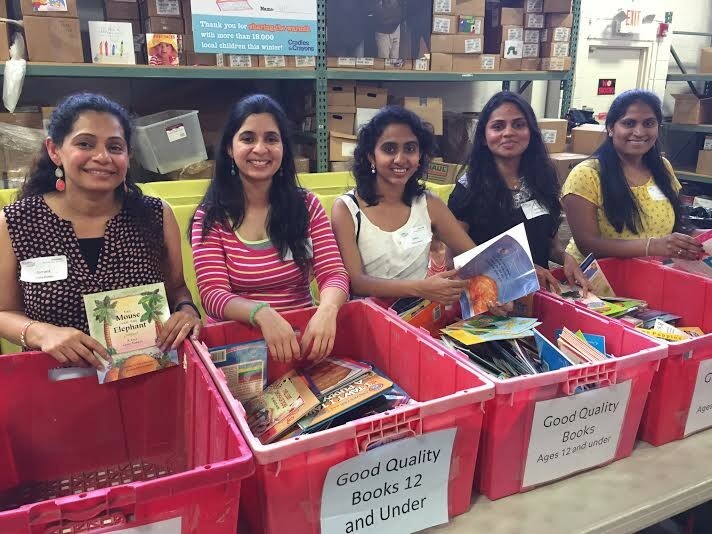 Saloni Shah along with other Vibha volunteers spent close to two hours sorting books at the Cradles to Crayons location in Boston. “Our task was to check for quality, as only the best books were to be donated and then sort them by age groups.” Shah says. “The sorted books were then made into packages of 3/5 books to be given to a child who may not be from secure social or economical backgrounds.” While three to five books doesn’t seem like a lot, it makes a telling difference for a child who didn’t own a book before. Knowledge is powerful, and even the smallest amount of wisdom gained from reading a book is worth gaining. And it is true that even the smallest effort can help. Shah and the other volunteers dedicated two hours of their time and managed to help over one hundred children receive their own mini library.